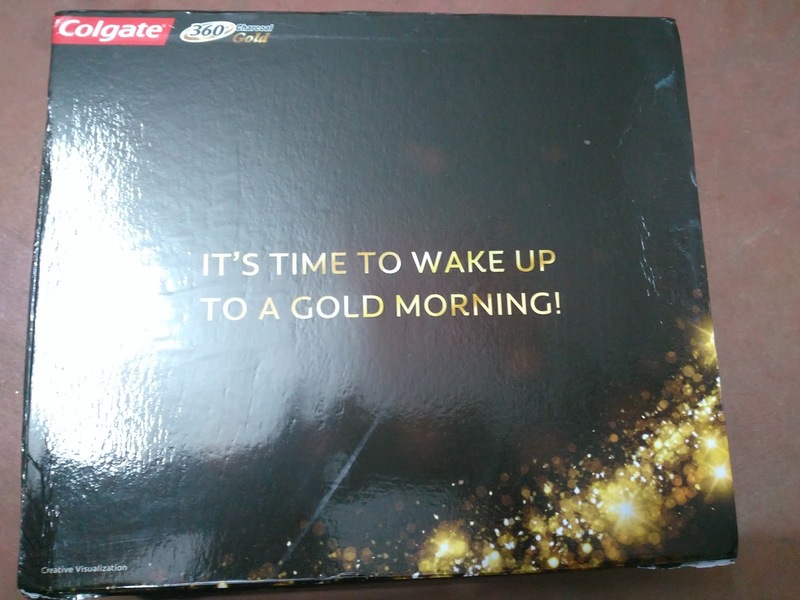 Giveaway dose: Gold Morning ! Mornings are always special. It is the end of yet another dark night and it comes with a new promise of light and hope. There are a lots of things that makes the morning special be it the rising sun, the pure and unpolluted fresh morning breeze or the sweet cheering of the birds. It is the morning which decides the framework for the rest of the day. A bad start of the day can easily ruin the whole day and good one could lead to the wonderful day for the rest of the day. Are not the mornings the very vital part of our life?? Indeed, they are, thus we should start our morning in the best extraordinary way so that the rest of the day be the good too. We all have our own things that makes our morning good be it a cup of strong coffee to kick start the day or a cup of tea to keep the morning fresh but few of us like to start our day with the very best so that we lead our day up from the front nicely and for that I believe in Colgate 360 Charcoal Gold. It is the best of the best product delivered by the Colgate yet and not only it works fine but it looks good too. It is a complete care for your mouth an all-round solution for everything that you have been looking for and waiting for. The bristles are soft and thus doesn’t affect you gum. It is so gentle on the gum but gives a 100% cleaning result. 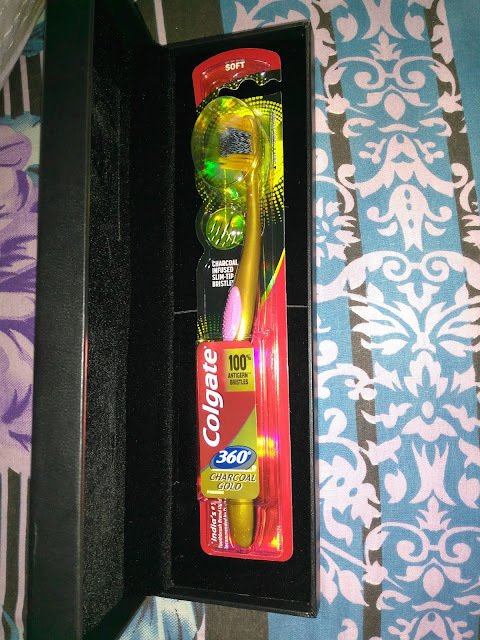 The charcoal in the bristles helps providing clean and shining teeth removing any paleness from the teeth. It results in cleaning turning the darkness of the teeth into beautiful brighter teeth. The brush does not only clean the teeth or protects the gum but it cleans your cheeks and tongue well. It is an all-round solution for the teeth hygiene and believe me cleaner mouth means boosted confidence and boosted confidence means it is your golden day. It is too easy to turn out an ordinary day in to a gold day and all you need is a Colgate 360 Charcoal gold. 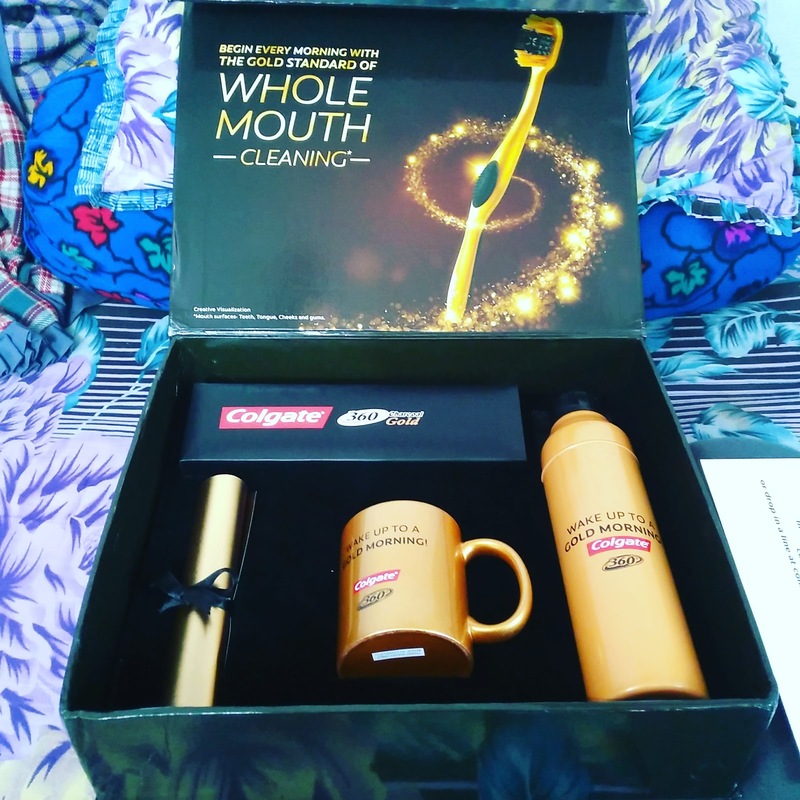 The health and hygiene of the body starts from the mouth and thus to stay healthy one needs a healthy mouth and wake up to #Colgate360GoldMornings . Use it and believe it.